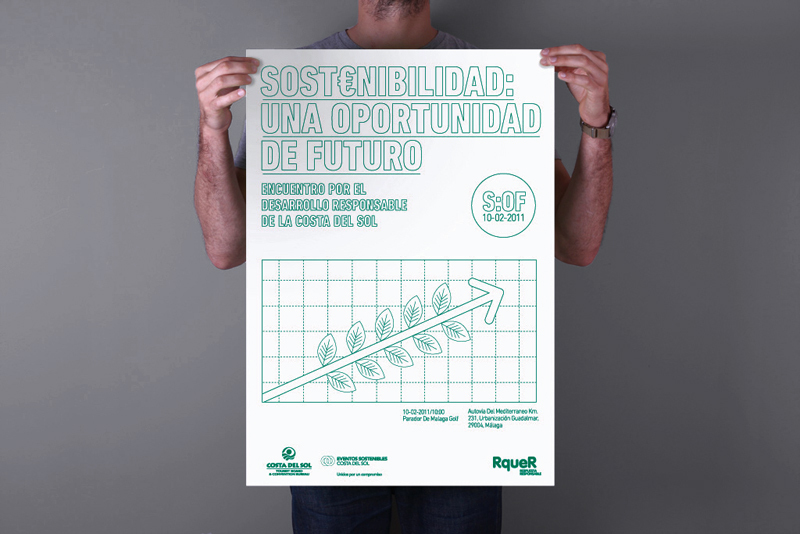 Corporate identity for the conference “Sustainability, an opportunity for the future”. 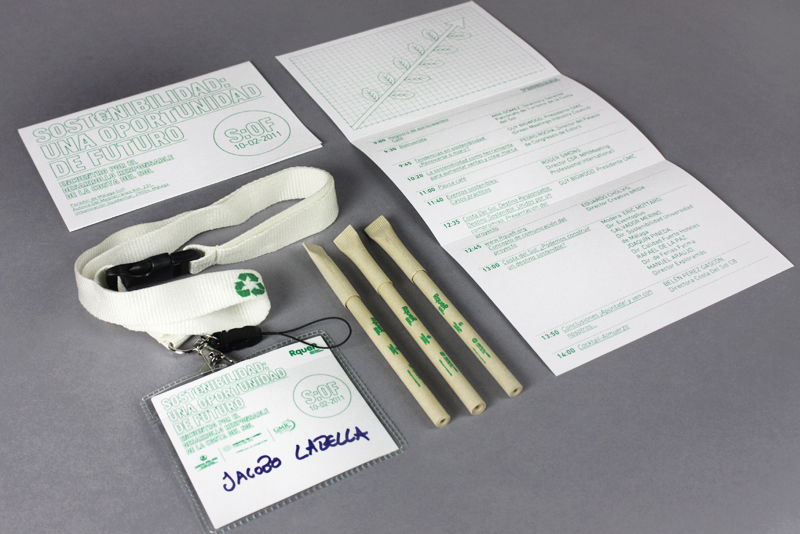 Every material design for this conference is designed to have a minimal impact on the environment. 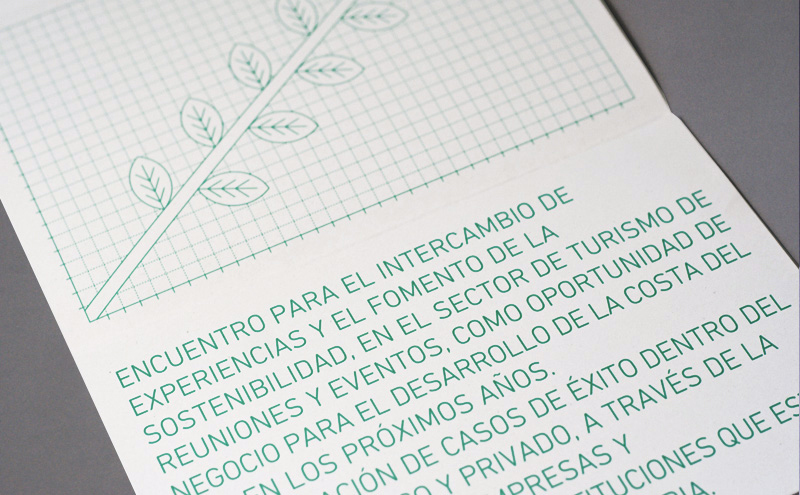 We used the contours of the sources and a version of “light” in small text to reduce the use of ink. It adopts a simple metaphor: less is more. 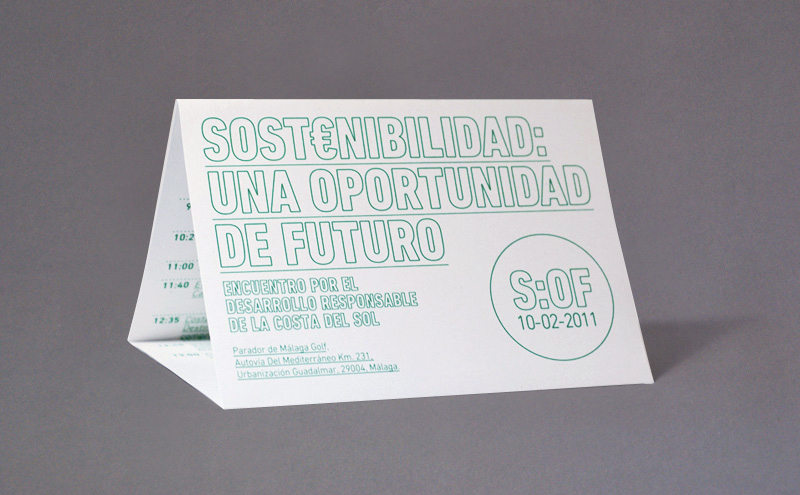 This metaphor supports the idea of ​​”the fine line that separates things” and the need to find a balance between ecology and economy. 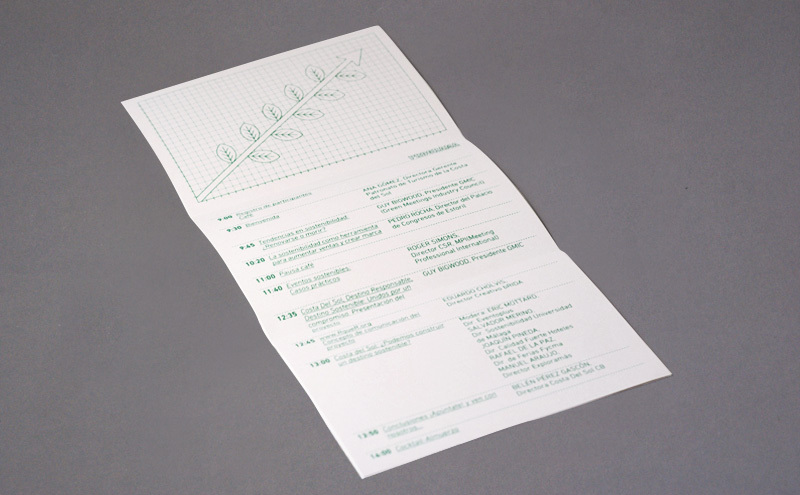 The paper is CyclusOffset and its raw material is based on 100% recycled fiber according to the standard RAL UZ-14 – Blue Angel. It is manufactured in a process without chlorine or optical brighteners.